Compute solutions are becoming more situational for high performance applications. Quantum, neuromorphic, and parallel processing architectures are pushing boundaries of what is possible. Intel has shared details on its latest field programmable gate array capable of performing more than 10 trillion floating point operations per second. Intel's new Stratix 10 FPGA is currently the fastest available chip of its type. Targeting applications such as speech-reconition, 5G networking, artificial intelligence, search engines, and high-performance computing, Stratix 10 offers extreme levels of performance in a small package. In order to achieve such performance, over 30 billion 14nm transistors are packed into each chip. For comparison, 8 core Ryzen CPUs have around 4.8 billion transistors produced at 14nm. Intel has not disclosed transistor counts for their latest CPUs, but states that this is more than three times the amount found "in the chips that run today's fastest laptops and desktops." The Stratix 10 family of chips comes varying package sizes depending on how many logic elements and other features are available. 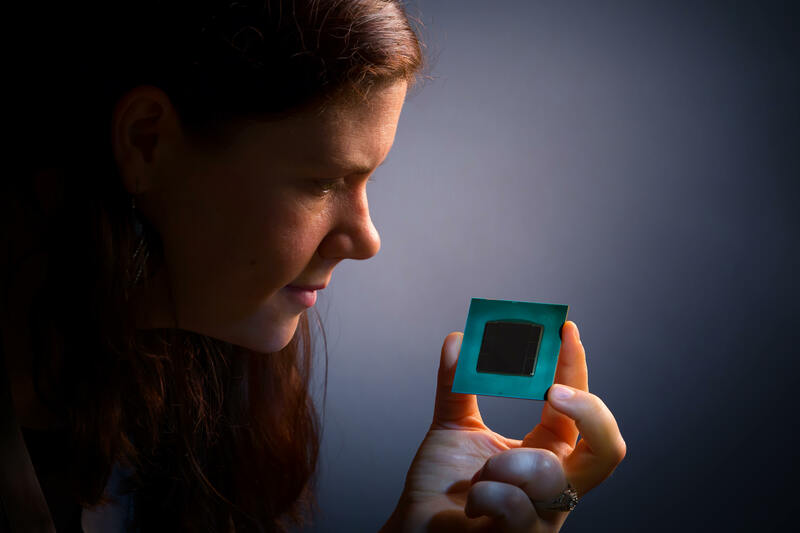 The smallest chip measures 35mm x 35mm while the largest scales up to 55mm x 55mm. Even though the largest chip is slightly bigger than most general purpose CPUs, it is still a difficult task to fit all of those transistors on the die. To be able to handle over 10 trillion operations per second takes a lot of bandwidth. Each Stratix 10 has up to 144 full duplex transceiver lanes with serial rates up to 58 Gbps. Intel states that the equivalent of 420 Blu-ray Discs can be pushed through the chip every second. General purpose CPUs are unable to be significantly changed after they are manufactured. FPGAs are able to be completely reprogrammed at any point in time to perform a new specific task. Should network operators or AI developers need to run new software, its a simple matter of uploading a new program to the chip.